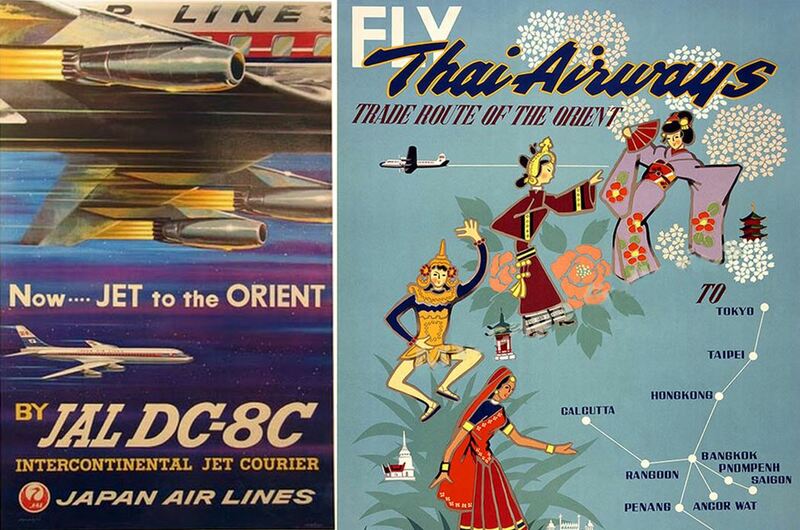 From a simpler time where everywhere was just ‘The Orient’. Note Penang and Rangoon were popular places to visit once upon a time. The airlines have spoken and Asia is continuing to be connected in ways no one ever dreamed of. You can fly from KL to Sanya, Chiang Mai to Shanghai, Phuket to Siam Reap and Bangkok to just about anywhere. The growth of the low-coast airline model has revolutionised the way people in Asia move around. As Air Asia says ‘Now Everyone Can Fly’. And they do in astonishing numbers. This revolution has also brought new tourists to entirely new tourist destinations. And after they visit they explore the opportunities to purchase property for investment, holiday residences and even a new place to live. In recent months there’s been a few big purchases for new aircraft. These spending sprees will further open the skies over Asia and create even more opportunities for people to move, visit and purchase property around the region. There’s also been a lot of investment in new airport infrastructure opening new corridors and opportunities for developers to move in. Chinese airlines are investing more than USD1 trillion on new aircraft over the next two decades as they play catch-up for the booming demand for outbound air travel from China. According to a new forecast by Boeing, the USD1 trillion will pay for an estimated 6,810 aircraft, and turn China into what Boeing describes as “the first trillion dollar aviation market.” (Boeing are the manufacturers of the 747, 737, 777 and new 787 aircraft). Randy Tinseth, a marketing executive at Boeing Commercial Airplanes, says that he expects passenger traffic in China to grow by 6.4% a year over the next 20 years. The country’s growing middle class and new visa policies “gives us every reason to expect a very bright future for China’s long-haul market.” He predicts that three-quarters of the new deliveries will be single-aisle aircraft that carry between 90 and 230 passengers, and cater to both business and holiday travelers. Back in the heartland of the low-cost model Tony Fernandes, the genius behind Air Asia, announced the purchase of another 100 planes for his fleet at the Farnborough Air Show in July. The purchase of 100 of the next-gen Airbus A319 Neo aircraft pushes the Air Asia A320-class fleet up to 575. (The ‘Neo’ is a newer variation of the A320 with lighter materials and greater economy). There have been similar big buys for other Asian airlines over the past few years and aircraft manufacturers are being kept busy with the Asian aviation revolution. Because we know where the airlines fly the developers follow.